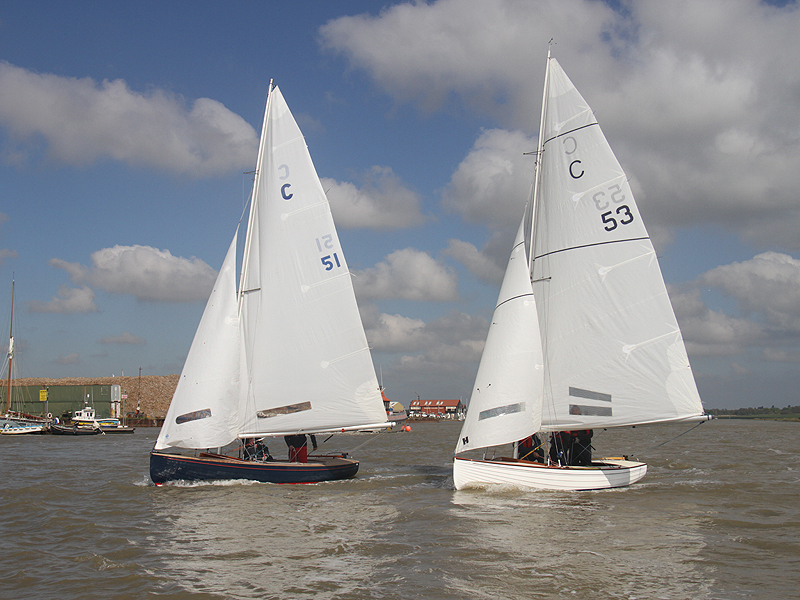 This week sees the start of Thursday night racing (1st May) and it looks like we can expect a bumper crop of entries. Already Grayling (John Payne), Blue Peter (Adrian Gibbons), White Spirit (Mark White), Grethe (Fi Brown), Storm Petrel (Alan Hicks) and Bidi (Colin and Dan Willett) are ready to roll from park and ride. Gelasma (Mike Hempstead) is on her mooring, and Dulcet (Phil Rust) will be launching shortly and joining Gelasma on the trots. With just over two weeks to go until the first official BOD race – the Eric Dent Cup on Sunday 18 May at 14.30 from the CYC line – there’s plenty of time to see those numbers grow and we are expecting to see double figure entries for the majority of this year’s events. Don’t forget the BOD Dinner is coming up fast on Saturday 10 May at the BSC. There are just a few tickets left so if you aren’t yet booked in but want to attend please contact Alan Hicks on email alan.hicks@btinternet.com urgently. Its going to be a great season so get your boat ready to race as soon as possible and we’ll see you on the water and in the bar! Gelasma is ready to race on Thursday night but regular crew Eddie is on holiday so I am looking for crew. Mike on 07851475590.